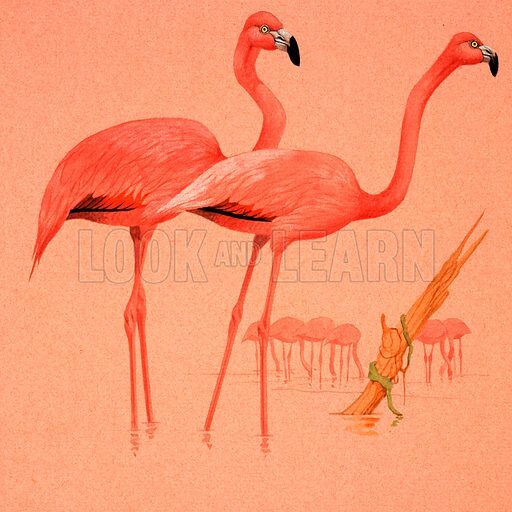 Flamingoes. From Once Upon a Time no. 4 (8 March 1969). Original artwork loaned for scanning by the Illustration Art Gallery. Available worldwide for immediate download up to 3,999 x 4,001 pixels.